With its user-friendly interface, ASUS AI Suite II consolidates all exclusive ASUS features into one simple-to-use package. It allows users to supervise overclocking, energy management, fan speed, voltage and sensor readings, even interact with mobile devices via Bluetooth. This all-in-one software offers diverse and easy to use functions, with no need to switch back and forth between different utilities. Flexible Multi-GPU solutions, Your Weapon of Choice! 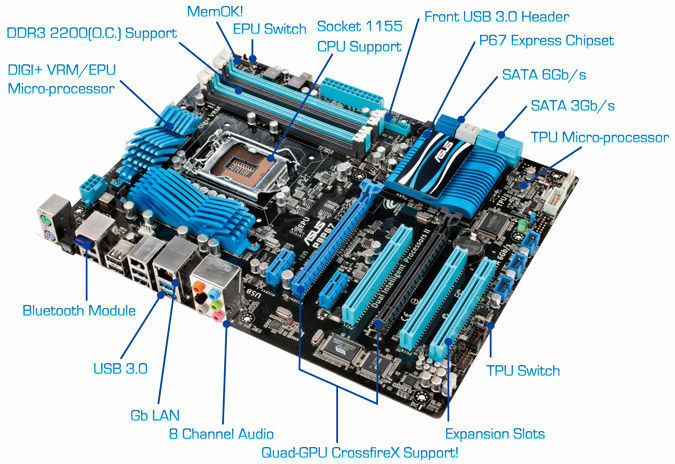 More links for "**B Grade** P8P67 Intel P67 (Socket 1155) DDR3 Motherboard ** B3 REVISION **"